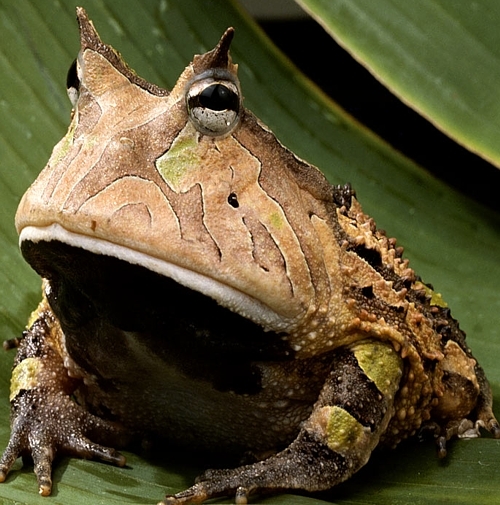 The first thing that anyone notices about the Amazon Horned Frog, shockingly, isn’t the horns its the incredible size of them. They can grow to well over 8 inches long and their rotund bodies will easily cover a plate, as they also grow round as well as long. Amazon Horned Frogs live in freshwater marshes and pools all through out the Basin of the Amazon, from Colombia all the way to Brazil, so their range is quite broad. They gain an enormous girth by being completely indiscriminate about what they eat, and by eating everything they can catch, which is a great deal. 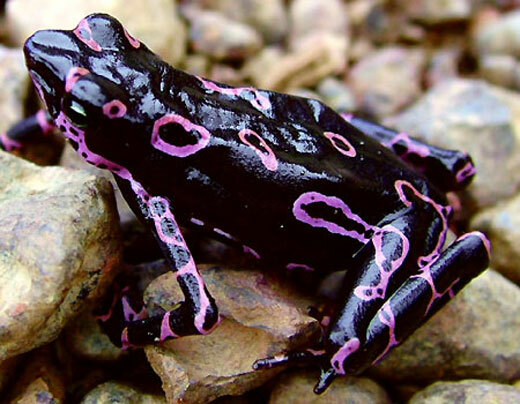 The Horned Frog is an ambush predator. It can squeeze its fat body into the forest substrate or into the leaf litter on the bottom of the forest floor, so that only the head shows. When anything that is smaller than their own body happens by, they will instantly grasp it in very sharp teeth lock it into their jaws and swallow it whole, after springing from the mud with a giant leap. Amazon Horned Frogs are aggressive and extremely territorial, viciously defending their personal territory and they are nothing if not voracious in their appetites. Some Horned frogs have been found dead with the remains of an animal it was impossible for them to swallow still sticking out from their jaws, that were clasped around it, and many times they attempt to swallow something at least as large as they are, and being unable to swallow, or to let go of it, both become victims to the Horned frogs greed. 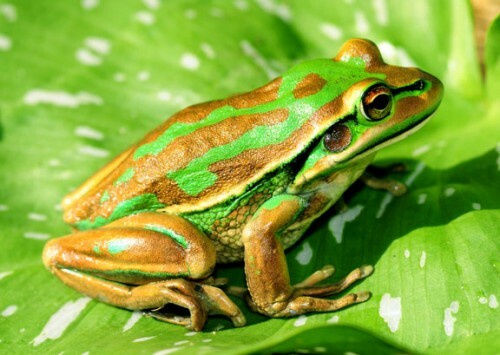 The female of the species is larger than the male, but the males are colored more brightly, a lovely dark green, ranging to lime colored, while the females are usually simple tan. Scientists are unsure what purpose their horns serve, but it is likely they aid in camouflage, resembling leaf stems in the wild. They mate, as other frogs do, in the springtime, depositing their eggs into a brackish water source and leaving them to their own devices. thats so cool! do you have anything on cats?